I love to buy jewellery for friends and family as gifts, there is something about finding the exact thing that you know they would like. When you order it and it arrives all boxed up and beautiful… This blog post is about an order for myself, but I am not ruling out a Christmas Gifts based order before the year is out. 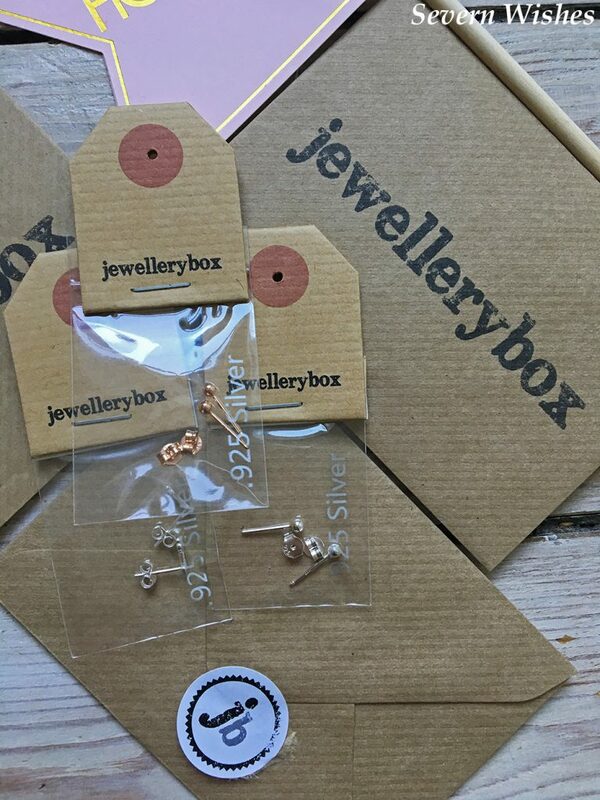 Jewellery Box UK have an excellent range and their website is easy to navigate and search. Upon previous orders from this company I have been impressed with the quality and the choice. So when I wanted some new “every day” earrings (as I like to call them) I knew which website to search. This time my order arrived inside the Jewellery Box UK personalised envelopes. A professional way to keep the stock separate in transit and you know that all the products are brand new and sealed within their plastic. Another feature that wasn’t apparent last time I ordered was the addition of the Jewellery Box packaging, bits of cardboard attached to the items. 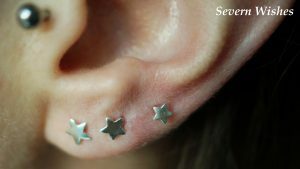 Having graduated lobe piercings on both of my ears I often purchase earrings that go together, in order for them to look symmetrical. 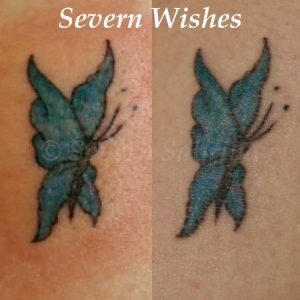 I particularly like sterling silver jewellery and usually choose this metal for my sensitive skin too. Upon browsing for my usual 2mm, 3mm and 4mm silver ball studs though, I noticed they were now selling a sterling silver and rose gold plated ball stud at a 3mm size. Intrigued, and because I had a discount code, I added them to my basket. And as you will notice on the image above there is one other earring set, I chose some very tiny arrow earrings. For a very personal reason to me, mainly to cut a long story short, the arrow represents moving forward, and I am currently going through a difficult time in my life, one that requires courage and by wearing my earrings they remind me of how strong I can be if I only believe in myself. I only have one small criticism about the order. I don’t like to keep my earrings, after use but between wears inside any plastic, once worn they need to breathe. 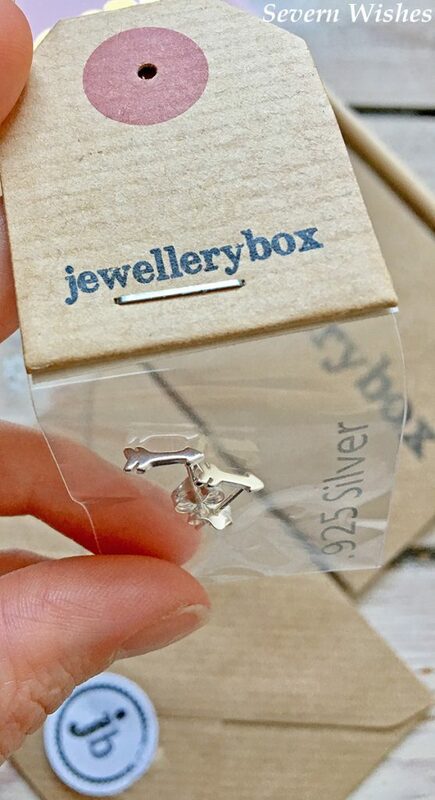 There wasn’t an option to perhaps purchase a small earrings box to place them in, or add one for free to an order over a certain amount. 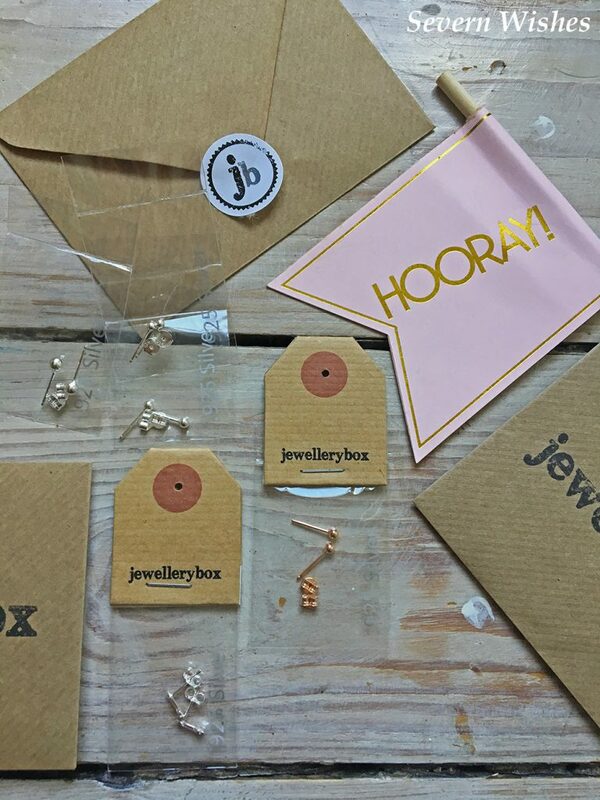 The order does come in those amazing envelopes and that’s wonderful to send out and also to gift to people, but when it comes to storage, I am now running low on things to put my many earring styles in to. You wouldn’t want to bend any of them. I will now outline each item, the price advertised on the website (correct on the date I published this post) and also give a link to that specific item. As well as my final review scores I will be writing out some relevant information about each item that I know some of you would be wondering about. Sterling Silver Ball Stud Earrings Set – 2mm, 3mm and 4mm. NB. You can also purchase these sizes individually and in varying metals. Appearance 5/5 (Beautifully detailed for such small earrings). Quality 5/5 (Straight and Well Made, Proportional and Straight with 925 stamp). NB. The earring pin attaches at the arrow point end of the earring. Thank you very much for reading this review post today. If you enjoyed this then please leave me a comment letting me know, I would really appreciate the feedback. 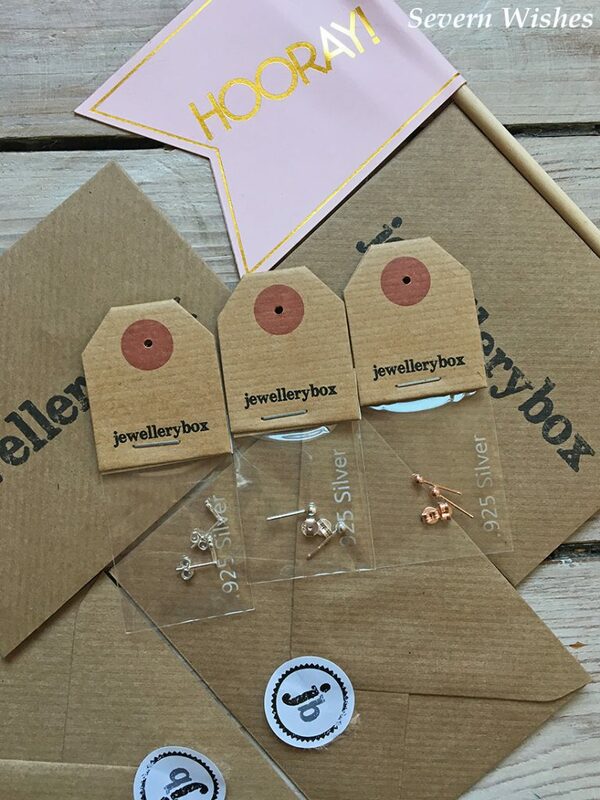 Jewellery Box UK is an excellent online shop to find gifts, they also do regular discounts and a 10% off your first order when you sign up to their newsletter. I hope you will find something nice for you or a loved one if you take a look. 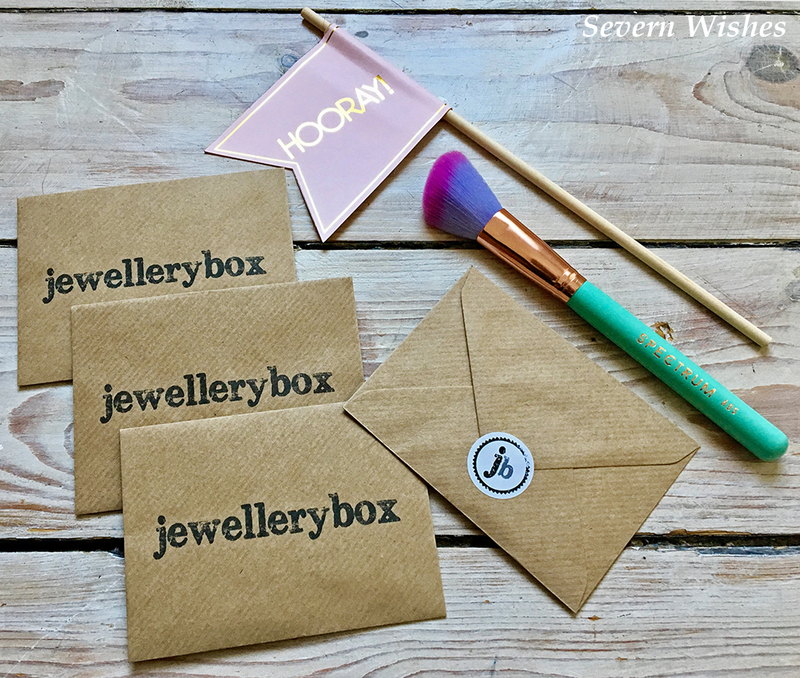 Remember this is not my first review from this great company, click Jewellery Box on my main page categories to see more. I made the decision many years ago to have more than one piercing in my ear lobes. And nowadays I’m rather glad because it’s on trend, and also grateful of the choice of jewellery that is available for me to wear. Examples of the styles that I have come across more recently include a variety of shapes and also varying metals. 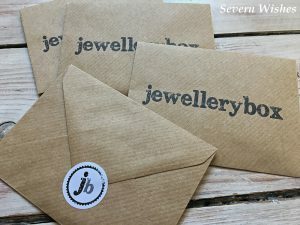 I always prefer to purchase 925 sterling silver jewellery due to my sensitive skin, and that is what kind of jewellery will feature in my post today. I will make a list of all the items shown within my blog post, so that if you wish to purchase any yourself you will find the links at the end of the page. 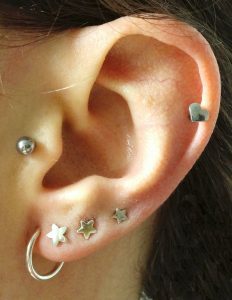 Graduated lobe piercings have been becoming more and more popular within the last five years or so. With both celebrities and regular people alike making the choice to adorn a variety of jewellery on their ears. 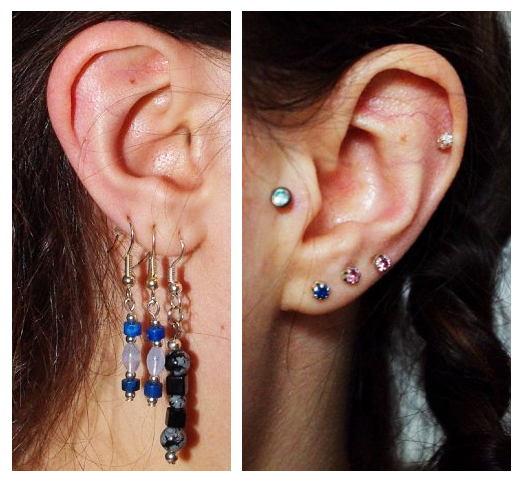 Graduated piercings are now common on other parts of the ears now as well, such as cartilage. So how do I wear mine? 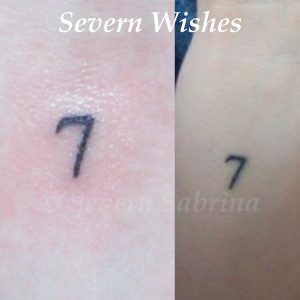 Well I normally take one particular symbol or style and wear it in all three of my piercings. I have more recently branched out into wearing various symbols all together, and I think this look can make you seem more individual, even pretty unique depending upon the jewellery, the possibilities for earring combinations are endless. 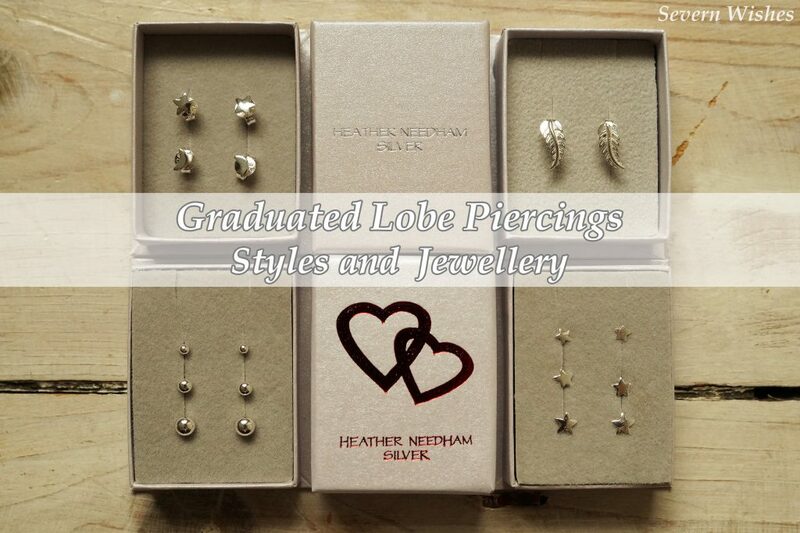 Any earrings can be included to make your lobes a graduated style, but usually they are earrings of the same type but in different sizes or metals. 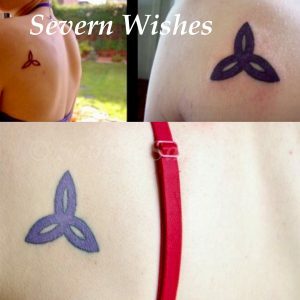 It can also be symbols that are similar and can be worn specifically in that combination, such as a space theme with a sun, moon and star, for example. 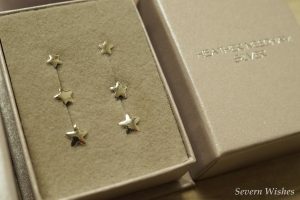 I don’t think you can go wrong with stars, and I wear them regularly. I don’t know anyone who doesn’t like stars and I often get compliments about mine. 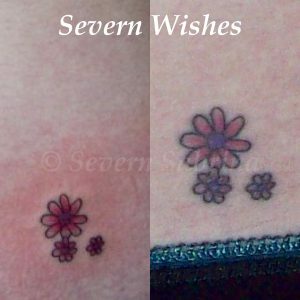 These cute ones in the image below range in size from 3mm, 4mm and 5mm. 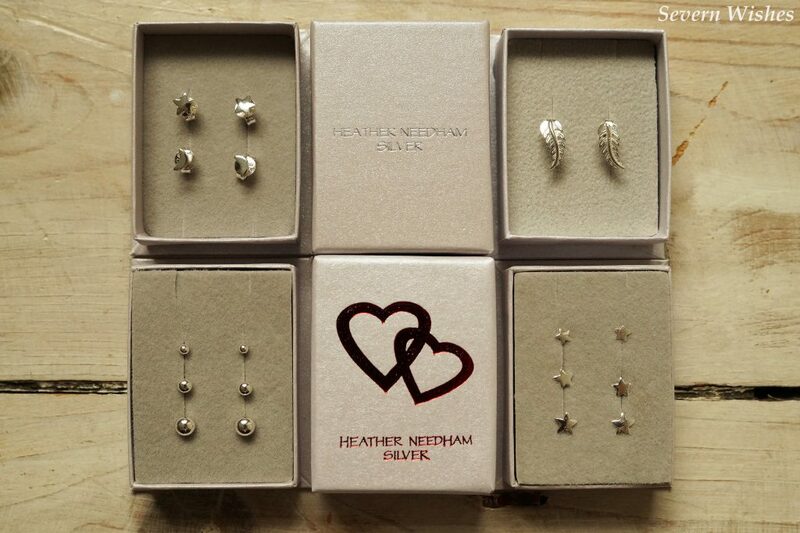 They are available on Amazon UK from Heather Needham Silver. 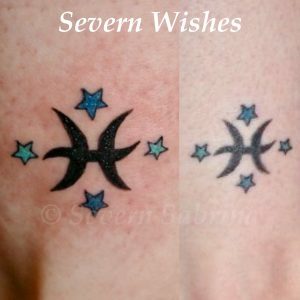 This seller also sells a set of a sun, moon and star, as well as just a star and moon. 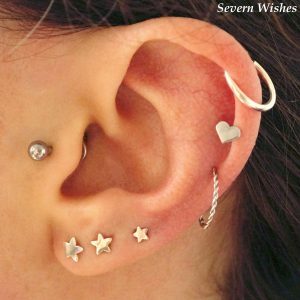 I like the pieces in my next picture because it means you can add a further earring of your choice if you have a third piercing, or that you can just wear the two stud types if you only have two piercings in your ears. More earring stud styles available from this amazon uk seller include Hearts, Stars, Moons, Circles, Triangles, Round with Silver or Cubic Zirconia and other symbols and shapes (such as the feathers/leaves in my image below). You can see the full range by visiting the sellers amazon page (links at the end of the post). Here are some images of the earrings in my own ears to show sample sizes, I do have quite small ears, you can normally find specific sizes on the sites that you purchase jewellery from. Another site that I have previously purchased earrings from is Cherry Diva. They have a variety of sterling silver items for sale. 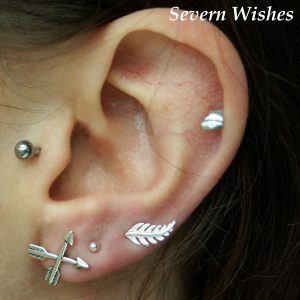 These arrow earrings are fabulous, unique and highly detailed, I like that these kind of earrings can make your ears seem unusual because of the shape and orientation. 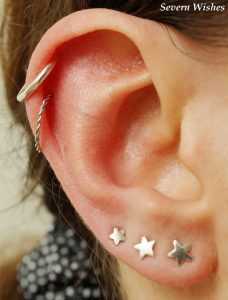 You can wear them at whatever angle you please to suit your lobe shape. 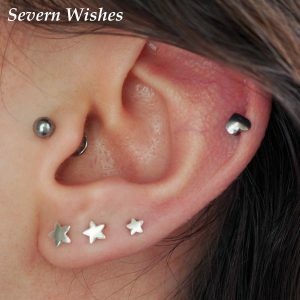 When it comes to body jewellery and piercings I usually get my labret studs online from sites such as Body Jewellery Shop and Piercing Mania. 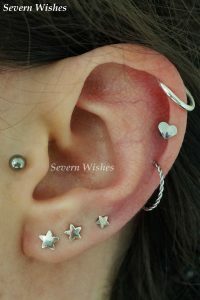 You can see my recent review from the latter site by searching in my category for Jewellery or Piercings. The final place I regularly buy my earrings from is Argos. 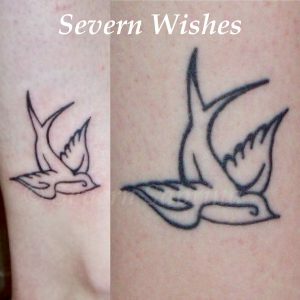 They have a wide range of sterling silver products including ones that are coloured cubic zirconia and also plain shapes. 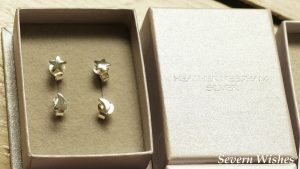 I found the quality of the earrings to be very good and the prices I paid for the sterling silver was also very reasonable. 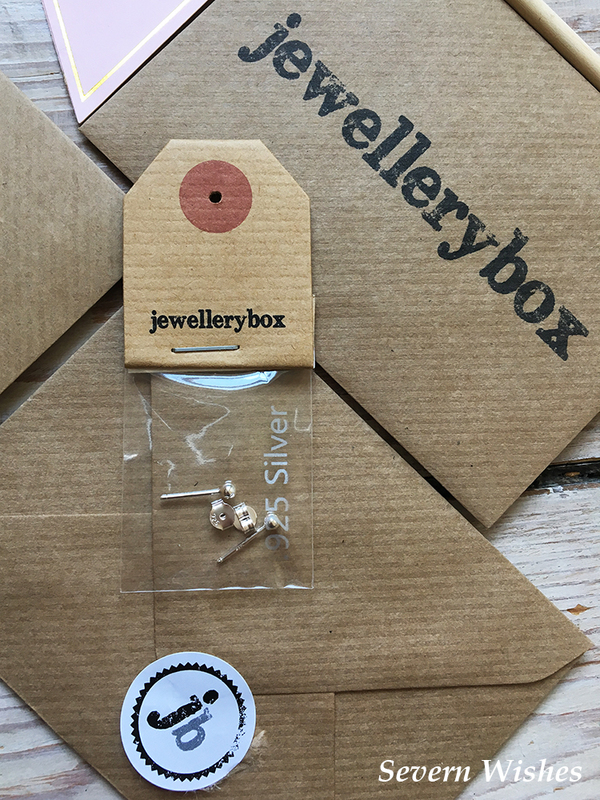 I gave the delivery a score of 5 because the earrings all came in individual sets and boxed, with professional postage and packaging so as nothing could be damaged. 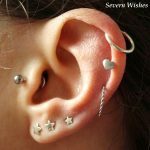 Thank you very much for reading this review, I hope I have given you some purchasing inspiration, and with a certain festive holiday creeping up on us, you may have seen something you could get as a gift for someone who has multiple ear piercings. Until next time, I hope you have enjoyed this post. If you have any questions please feel free to leave me a comment. I shall leave you the links at the bottom of this page. 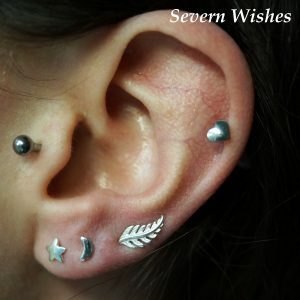 If you managed to catch one of my posts from June you’ll know that I am big into piercings and body jewellery. Growing up I never liked the look of my ears and I had to wear glasses as well. So as soon as I was old enough I had piercings done which made me like my ears a bit more. 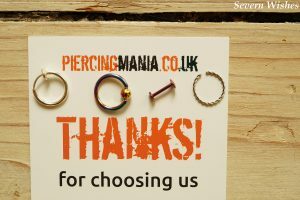 Piercing Mania has been around since 2011 and supplies a variety of jewellery and tools in order for people to customise their personal look. There are many aspects of their website that I liked, including detailed photography of the items and a massive range of filters which allow you to search through many types of jewellery. Not only this but a wide range of jewellery in many shapes, sizes and colours, as well as a huge supply of materials. 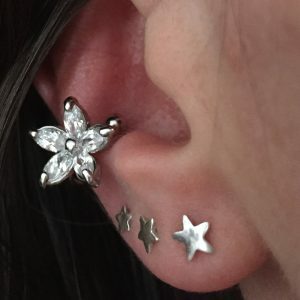 After contacting Piercing Mania about doing this review, I explained which piercings I already had, and how I planned more but wanted some false pieces to use as visual examples to make my decision easier. They were very accommodating to me and within a few days I had received a little parcel in the post. The items were boxed in professional and excellent quality packaging to ensure the contents arrived safely. I was rather excited to open the box, and found a beautiful twisted false ring, a spring loaded false ring, a gorgeous purple heart labret bar, and a titanium plated ball closure ring. These pieces of jewellery fit into a variety of piercings and I looked forward to trying them myself and photographing them of course. Each item came individually sealed in plastic so you know that none of them had previously been opened, touched or used. They were all shiny and of good quality metal and I liked the look of every item that I had been sent. As well as this jewellery I discovered I had been sent some items used in the process of skin stretching. Some female designed Oil, Butter and a Stretching Guide were included for me to review. 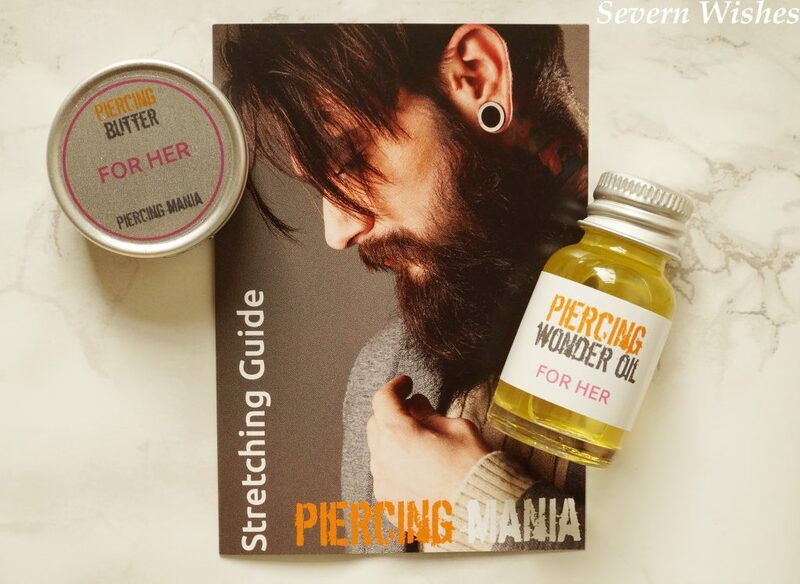 It’s excellent that Piercing Mania do these sorts of packages for people to begin this process at home. This isn’t something that I am interested in doing personally because I have many piercings already and don’t want to stretch my skin. So I thought I may organise a giveaway in the near future so a female with interest in doing this for herself can win these fabulous items. I am very impressed with these items that I was sent, and I haven’t opened any of them to do any tests, so they are brand new and available for me to giveaway when I can. So let me show you the products in detail now using my macro photography. Then I will show you how I applied some of them to my own ears, and how they looked. I will also give my full review at the end of this post and include the links to items if you wish to purchase any of them for yourself. 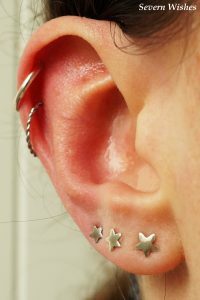 The Ways In Which I Wore The False Piercing Rings. In the next couple of images I will show the ways in which I wore the two rings as examples. One is a surgical steel pull open and push closed multi functional twisted design ring, and the other is a multi functional titanium plated spring clip on ring. The quality of both these small items was impressive, especially the twisted ring which is made of steel. The twist looks so delicate and feminine, I loved the way it looked against my skin, and the versatility of being able to place it anywhere I wanted. The spring loaded clip on ring was also rather versatile, I would only use it on my ears I would think, but I fitted it in as an extra lobe piercing, as well as a helix or auricle one. I liked the way it looked because it was so shiny and bright, but I have fairly small ears, and preferred the thickness of the twisted ring. 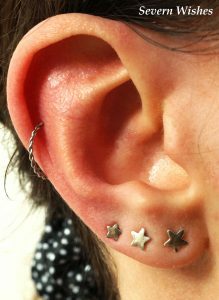 Here are a few more images of me using both of the rings in different areas on my ears. 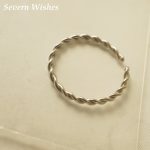 I think I would be tempted to get some more of the twisted steel rings, as you can easily wear several close together because they are thin, and I think they look like real piercings. 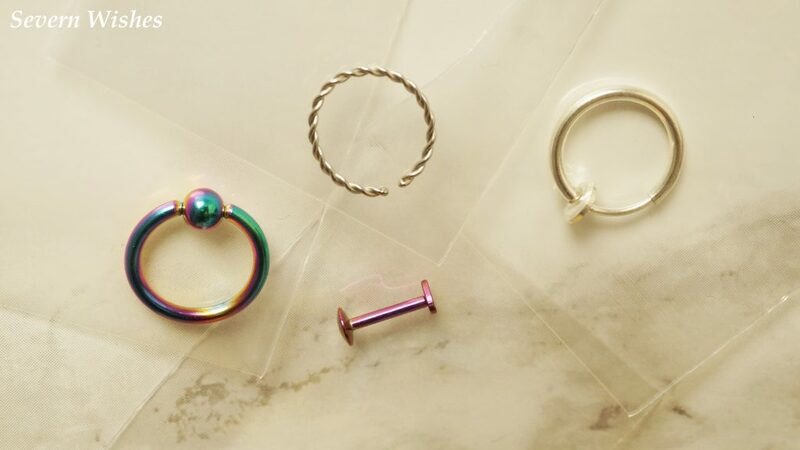 Piercing Mania do these rings in several sizes and thicknesses as well to accommodate all sized ears. If anyone is interested in knowing what my piercings are, and what the false rings would be classed as by a piercer, here is a diagram of my ear with labels. 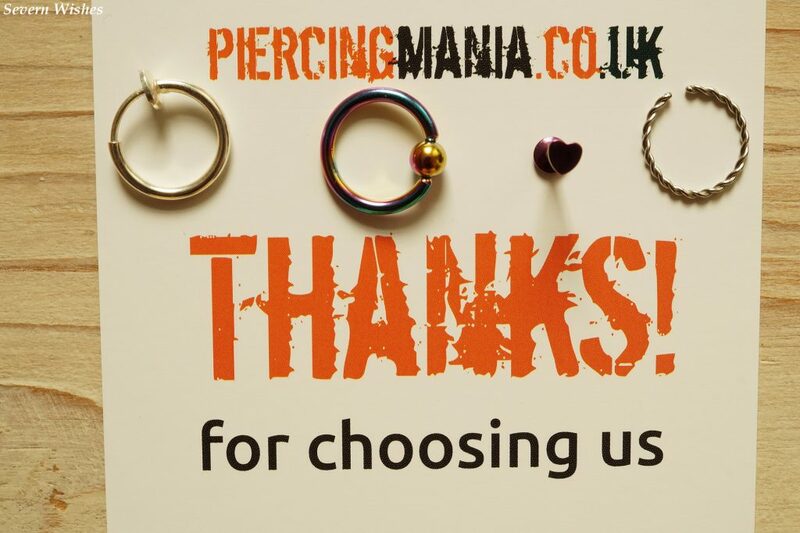 Overall I am more than impressed with the service and the quality of the jewellery from Piercing Mania. I will be ordering from them again without a doubt. Here are more images of my ears with the false piercing rings in them along with my current piercings including the graduate lobe set on both sides, and my lower helix and tragus from my left ear. 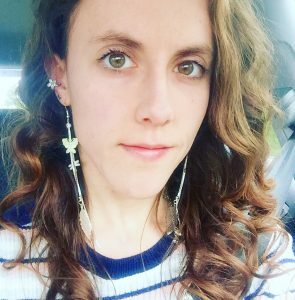 Thank you very much for reading my blog post today, I hope you have enjoyed looking at pictures of my horrid ears (insert laughing face here) and looking at some of the awesome jewellery available too! I can highly recommend checking out the website because of the sheer amount of jewellery available. 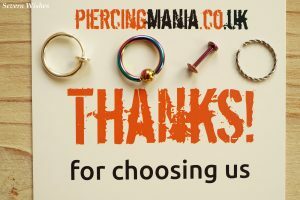 Check out the links for the Piercing Mania items that I have reviewed below, or visit the sight as a whole and have a browse at the pieces you’d be more interested in. 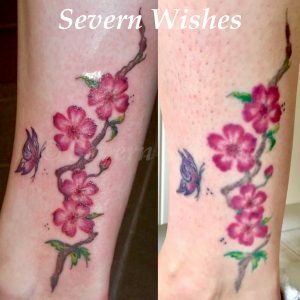 Thank you very much for visiting Severn Wishes today, I hope to see you again soon, and if you enjoyed this review why not leave me a comment.